Bolstering Canon’s cinematography offering, the new lenses – CN-E14mm T3.1 FP X, CN-E20mm T1.5 FP X, CN-E24mm T1.5 FP X, CN-E35mm T1.5 FP X, CN-E50mm T1.3 FP X, CN-E85mm T1.3 FP X and CN-E135mm T2.2 FP X – are compatible with any PL mount cinema camera equipped with either a 35mm full-frame format sensor or a Super 35mm format sensor, including select Cinema EOS cameras. With their newly designed cinematic look and unified warm colour tone, these prime lenses are designed to enhance creativity and operability in the cinema industry. The Sumire Prime series enters the market as cinematographers aim to meet increasing demands for high-quality content with a more creative, personal and expressive feel. Leveraging Canon’s heritage of optical excellence, the seven prime lenses offer new imaging capabilities for those working in the cinema industry. Devoted to detail, they feature a large-diameter aspheric element and anomalous dispersion glass, offering a delicate, velvety nuance when the aperture approaches its maximum setting during shooting. This unique optical design results in solid and natural image rendering, bringing impressive image quality and warmer tones to cinema productions. Supporting an 11-blade iris, all the lenses feature precise manual control, providing cinematographers with richer levels of rounded bokeh for better impression of subjects and softer rays of light – perfect for creating intimate shots that direct the viewer’s attention to specific details. 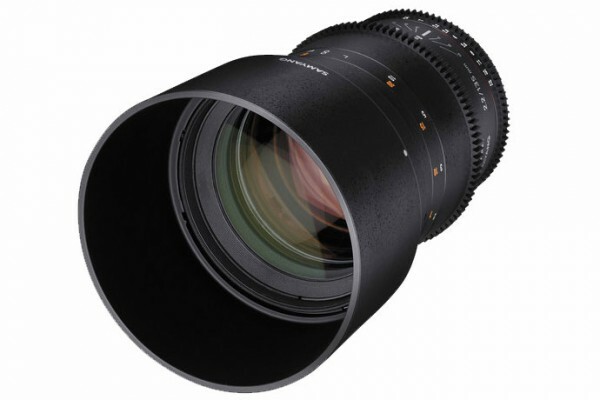 Thanks to their large lens diameter, a brighter T-number is possible, making these lenses an ideal choice for filming in challenging low-light scenes – as well as capturing the scene with a distinctive shallow depth of field – where ambience and atmosphere is essential. The Sumire Prime lenses come with an interchangeable PL mount, that enables modification as required into EF and back to PL by a Canon Service & Repair Centre or Authorised Service Partner. This option offers widespread compatibility for professional filmmakers using full-frame and Super 35mm cameras – responding to the needs of the industry, shooting anything from drama productions to high-end cinema, either in studio or on location. The lenses’ compatibility with Canon’s world-renowned Cinema EOS System, Canon’s flagship full-frame Cinema EOS camera – the C700 FF – and other third-party cinema full-frame cameras helps users produce future-proofed, premium-quality footage. The Sumire Prime series lenses inherit the same subtle, warm colour tone as Canon’s full Cinema lens range. Such compatibility makes it easier for cinematographers to interchange lenses on a production without affecting colour tone. When shooting on busy sets, this unity reduces the need for time-intensive post-grading ensuring consistency across shots – no matter what lens is used. All seven prime lenses adopt the 0.8 pitch lens gears for both iris and focus rings and are positioned consistently on the lens. In addition to this, the lenses have the same front diameter [iv], eliminating the need to adjust rigging accessories when replacing lenses. All lenses also have carefully developed focus resistance – enabling delicate and fine focus adjustments which can be made over a 300-degree rotation angle. Cinematographers can rely on dependable framing when composing shots as the lenses control focus breathing, combating the perspective variation that sometimes arises when refocusing to another subject. There’s growing demand for large sensor content from “Full Frame” cinema cameras, as filmmakers strive for the ultimate cinematic look. While sensor size directly influences the characteristics of the image, the choice of 35mm full-frame cinema lenses is still relatively limited, which is where the Sumire Prime lenses now offer additional choice. The new PL prime lens series deliver especially high optical performance, artistic image rendering, and a warm, natural tone to inspire creativity within the motion picture community. The seven new Sumire Prime lenses will ship in Australia from June 2019 with pricing set at dealer discretion.